Beautiful nose, expresses notes of red fruit with earthy undertones. The wine has a crispy acidity well-balanced by dry tannins. To be enjoyed 2009-2010. Bourgogne Pinot Noir is the regional appellation whose wines come from any part of Burgundy. 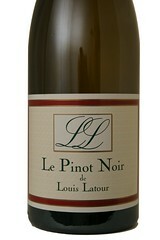 This wine exhibits the characteristics of the great red Burgundies. Noble and full, it has a resplendent colour combining grace with vigour and associating strength with finesse. On the palate fresh raspberries are in evidence when the wine is young.